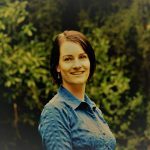 Probiotics really work for improving your health, but you need to use them as directed and buy from a reputable manufacturer. 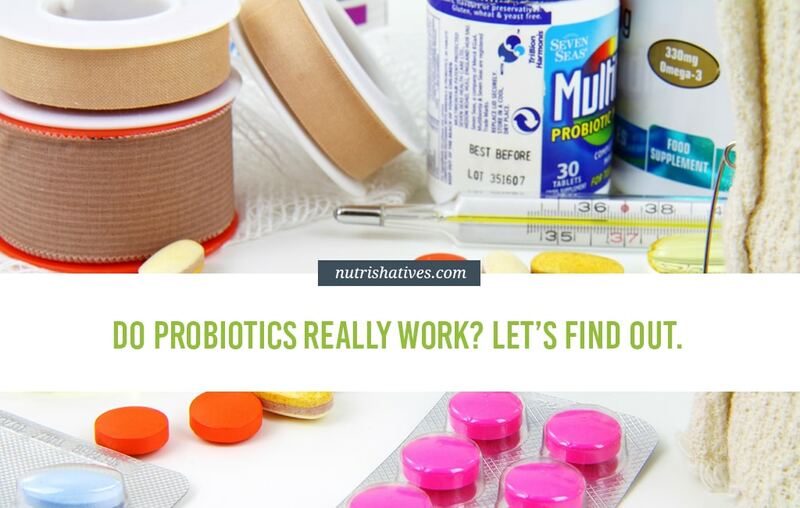 Do probiotics really work for improving your health and treating certain illnesses? You’ve probably heard of probiotics by now because they’ve become really popular in recent years. In case you’re wondering whether they’re overrated, we’ve done our own research so you don’t have to. What Do Bacteria Do on Your Body? How Do Probiotics Really Work? How Do You Use Probiotics Safely? What is the Best Probiotic to Use? Just like their name suggests, probiotics are live bacteria that benefit your health (”pro” means beneficial and “biotic” means life). Probiotic bacteria can be carried in lotions, creams, pills, powders, capsules, or foods. This is so that they can be delivered to your skin, gut and reproductive tract. You also have your own natural population of probiotic bacteria, living on virtually every surface of your body. In fact, right now, you’re carrying around trillions of bacteria with you! They’re busy working to keep you healthy and protect you against diseases. Incredible! One possible reason you’re unwell is that your bacterial population (microbiome) is out of balance. Sometimes this is quite obvious, like when you have a skin infection. If you’ve ever seen athlete’s foot, for example, you would’ve noticed that the infected skin looked damaged. The top layers peel back, exposing the delicate skin underneath. What you were actually looking at is a part of your body where your natural healthy bacteria died. Other species moved in that weren’t as friendly. Your normal bacteria would’ve protected your skin and made it stronger. But your new inhabitants ate away at some of your skin and made it weaker. Other times you have a bacterial imbalance it’s not so obvious. Imagine you have an infection in your gut where it’s your intestinal wall that’s being weakened. It’s impossible to see the damage because it’s inside your body. But your symptoms can point towards a bacterial imbalance and probiotics can help get you healthy again. Probiotic bacteria get comfortable on your body surfaces because it’s their natural habitat. Once there, they can happily create their own population, growing and multiplying and making you healthier while they’re at it. Probiotics take up all available space and nutrients, crowding out other bacteria that could cause disease. Numbers of disease-causing bacteria go down, and you get healthier as a result. Probiotics make their own special chemicals, including lactic acid, that stop bad bacteria from growing. Disease-causing bacteria can’t make you sick if they can’t get a hold on your body. Probiotics influence your immune system, telling it to make more disease-fighting chemicals. Your immune system is strengthened, meaning you can ward off illness without medication. Probiotics improve communication lines between different parts of your body, meaning that it can coordinate more effectively when it’s trying to fight off disease. Probiotics come in single strain or multiple strains. This is exactly as it sounds! Single strain probiotics have only one specific species of bacteria in it and multiple strain probiotics have a few different species. Single strains are useful if you know exactly what condition you’re treating and how probiotics can help. If it’s been scientifically tested, there’ll be information about what dose you need and how long to take it for. You can be fairly sure the probiotic will work for you because it’s a proven treatment. Multiple strain probiotics are useful for two very important reasons. You can cover your bases by using more than one strain. This is helpful if there’s a lack of research about using probiotics for your particular illness. A good formula will have some common strains known to improve general health, such as Lactobacillus acidophilus. They will also contain the strains that are most likely to help your condition. Many strains are in the early stages of being studied, so they’re showing promise but there may be pieces of information missing. For example, researchers may still need to determine what dose is most effective or precisely how a particular strain works. Your natural healthy microbiome contains many different species and strains of beneficial bacteria. So, it makes sense to replace and strengthen as many as you can when using probiotics for health. It’s a complex system and all the different types work together as a sort of miniature community. So, taking multiple strains is going to give you broader, longer-lasting benefits. Yes, yes, and yes! The more these tiny beings are studied, the more incredible things are discovered about them. In fact, there’s very little part of human health that they’re not involved with if any. Remember, we’ve only known about probiotics for a little over 100 years. So, we definitely don’t know all there is to know about how they work and what health conditions they can be used for. But we do know they’re a big part of being healthy. Probiotics help with digestion, where they can improve nutrient uptake and even manufacture vitamins. They also protect your gut wall from infection and inflammation, meaning it can work more effectively. Of course, if you have healthy digestion, then the rest of you is going to be healthy because it means you’re getting all the nutrition you need for your body to work at its best. Click here to learn more about how a healthy gut affects nutrient absorption. Probiotics boost immunity and could influence your mood, energy, and sleep. Probiotics work on pretty much every part of your health. It’s amazing! There’s really nothing to fear when using probiotics. They’re not addictive, they have virtually no side effects and you can’t overdose on them. Side effects are very rare but keep a look out for them. Stop taking your probiotic if you notice increased gas and bloating, headaches or allergy symptoms. If you have a serious health condition, talk to your physician before using probiotics. 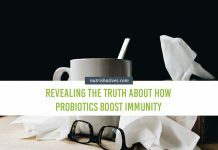 From my experience working in a clinic, the biggest health risk I’ve seen with probiotics is actually that people stop taking their other medications because they believe probiotics can treat their condition. It’s possible that your probiotics will really work and get your health back to the point where you don’t need your medications anymore. But you can’t stop taking essential medications just because you’ve started taking probiotics. You can take probiotics while you continue with your prescription medication. And if you get to the point where you think you don’t need your prescription anymore, make sure you discuss your situation with an understanding health professional that can help you transition smoothly. If you’re unwell, seeing a physician is important even if you’re confident that probiotics are the answer. For your own peace of mind, get a professional opinion. You can still decide for yourself what course of action you will take. Probiotics are powerful and they can work really well when used correctly. But they’re not a miracle cure for all illnesses. There are some that are good for general health, like Lactobacillus acidophilus, which is found in most multi-strain probiotic formulas. And there are multiple strain probiotics that are helpful for almost every health condition they’ve been studied for, such as Innovix Labs’ Multi-Strain Probiotic, which contains 31 different bacterial strains, and is available for purchase on Amazon. Or Vitamin Bounty’s Pro-50, which contains 13 different probiotic strains, also available for purchase on Amazon. The key to using probiotics effectively is to make sure you have the right strain(s), in the right dose and that you take them for the right amount of time. Also, make sure you buy them from a trustworthy manufacturer. It’s important that your probiotics are made, stored and transported properly so that they maintain their potency. They’re living beings – sensitive to heat, light, and oxygen – and they can easily die before they reach you. A lot of people give up on probiotics when they don’t see results in the first week of taking them. But I know from personal and clinical experience that sometimes you have to take them for 30 days, or even 60 days before they really make an impact. Probiotics are bacteria that benefit your health. They’re microscopic life forms that live on your body all the time but sometimes get low in numbers. When you take probiotics, you increase your natural bacterial population and this can help improve your health. Some strains of beneficial bacteria have been studied a lot and have proven effects for certain illnesses. Some beneficial bacteria need more research but can be used in combination with other healthy strains to make them more effective. 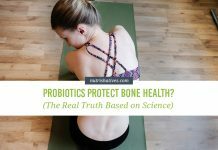 Probiotics really work for improving your health, but you need to use them as directed and buy from a reputable manufacturer. If you have any doubts at all, talk to a professional health practitioner before using probiotics. Want more useful health, nutrition and supplement information like this? Make sure to SUBSCRIBE!